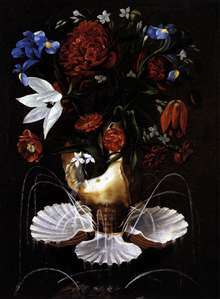 Spanish still-life painter. 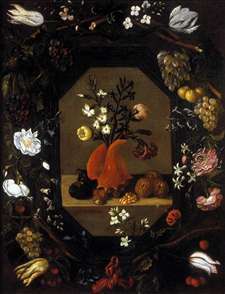 Following the lead of Juan Fernandez El Labrador, Juan de Espinosa, who belonged to the same generation as Antonio Ponce, earned a reputation as a specialist in still-life paintings with grapes. An inventive master, he surprised his admirers with a wide variety of types of picture. 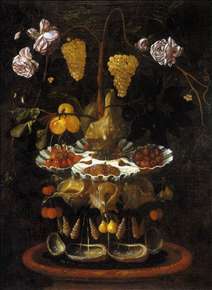 See more details about "Still-Life with Flowers with a Garland of Fruit and Flowers"
See more details about "Still-Life with a Shell Fountain, Fruit and Flowers"
See more details about "Still-Life with Shell Fountain and Flowers"